Summary (from the inside flap of the book): Since her untimely death the day before her eighteenth birthday, Felicia Ward has been trapped in Level 2, a stark white afterlife located between our world and the next. Along with her fellow prisoners, Felicia passes the endless hours reliving memories of her time on Earth and mourning what she's lost--family, friends, and the boy she loved, Neil. Then a girl in a neighboring chamber disappears, and nobody but Felicia seems to recall she existed in the first place. Something is obviously very wrong. When Julian--a dangerously charming guy Felicia knew in life--comes to offer Felicia a way out, she learns the truth: a rebellion is brewing to overthrow the Morati, the guardians of Level 2. Felicia is reluctant to trust Julian, but then he promises what she wants the most--to be with Neil again--if only she'll join the rebels. Suspended between heaven and Earth, Felicia finds herself in the center of an age-old struggle between good and evil. As memories from her life come back to haunt her, and as the Morati hunt her down, Felicia will discover its not just her own redemption at stake...but the salvation of all mankind. 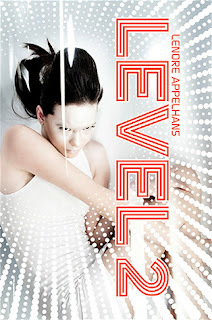 Review: I can't believe I am reading another YA dystopian novel! Apparently I haven't had enough of this genre since I keep coming back to it again and again. However, this novel is different from most other dystopians in that it takes place in the afterlife. Well, in purgatory. Level 1 is our life on Earth, Level 2 is the in-between where people wait until they are ready to move on, and Level 3 is whatever comes next. The author is very careful not to say what Level 3 is or how long it takes people to get there. 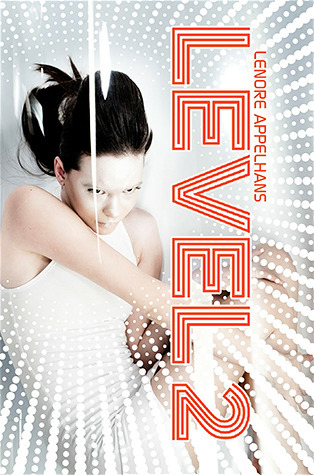 Level 3 is referred to as heaven, but only a couple times and heaven is unknown to all the characters so there is no description of it, at least in this first book. There is much religious imagery in the story such as angels, purgatory, heaven and hell, and even the five rivers of Hades play a role. Appelhans is clever with words as evidenced in her use of Morati, who are the bad guys in Level 2. I wasn't sure it came from and a quick googling of it shows it is the plural for moratus (Latin), which means delayed or lingering. Perfect! The Morati are trying to gain access to Level 3, but so far are denied. The ending of the book is good for the first in a trilogy because there is a sense of closure (I won't reveal it here), but it also leaves the door open for a second book since so much is still unknown.